We are excited to offer Beaubien students and staff a variety of spirit wear options! We are offering the designs below in short sleeve, long-sleeve, hoodies, and zip-front hoodies. Select designs are available for sweatpants. Click here to place your order. 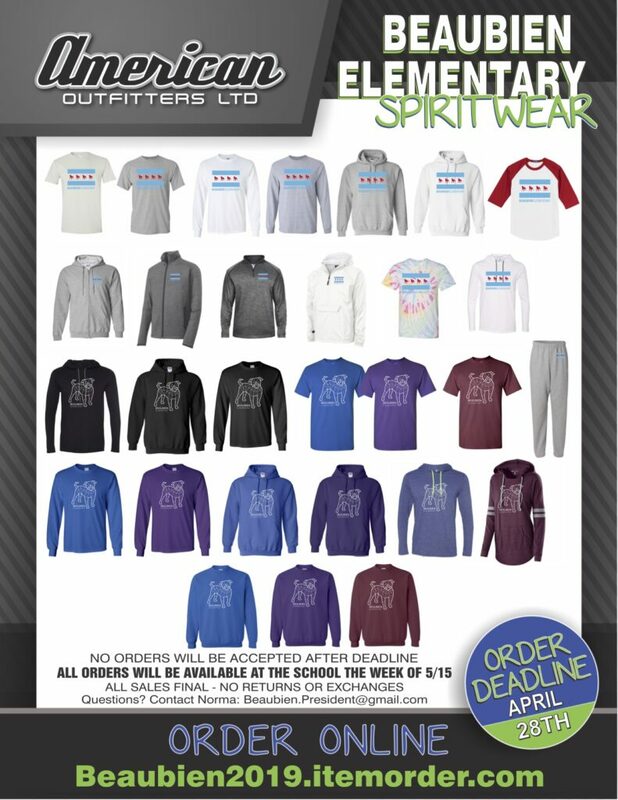 DEADLINE to order is April 28th!